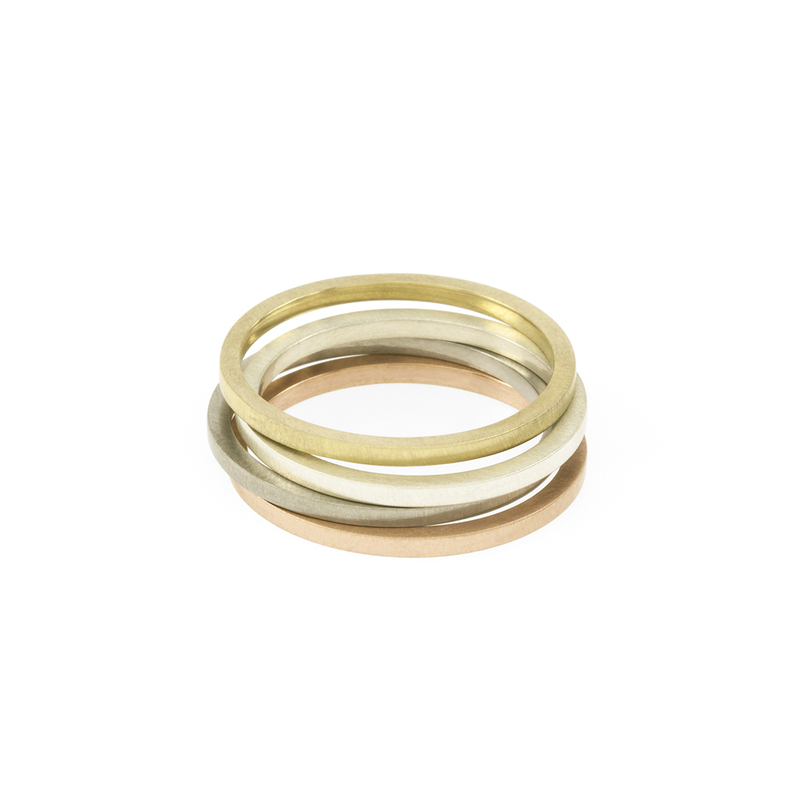 A hammered finish compliments the curved surface of this contemporary wedding band. 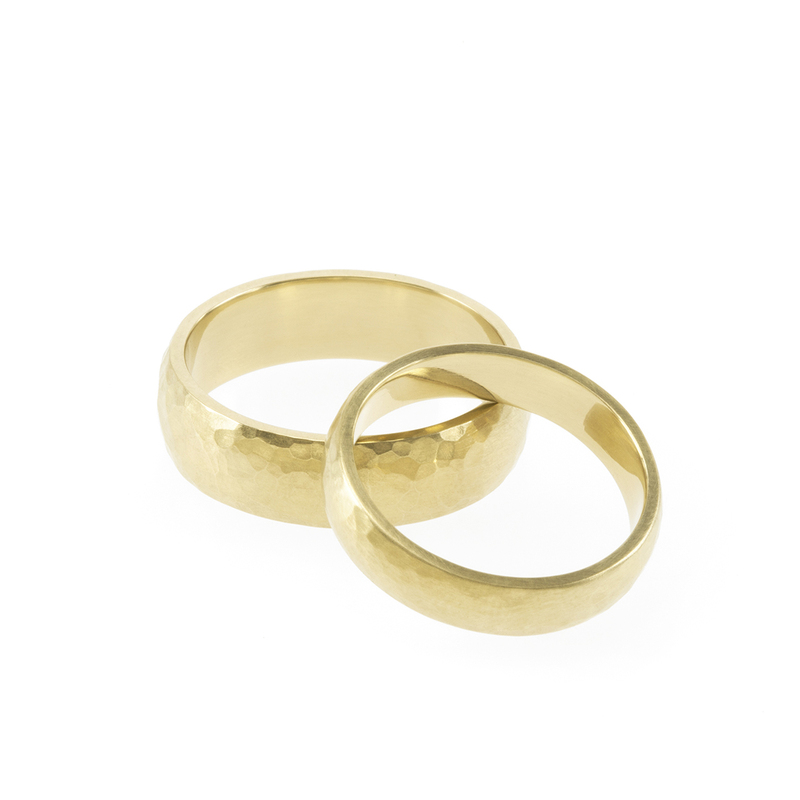 The cushion fit shape of this style makes it incredibly comfortable, perfect for a ring that will grace your finger for many years to come. 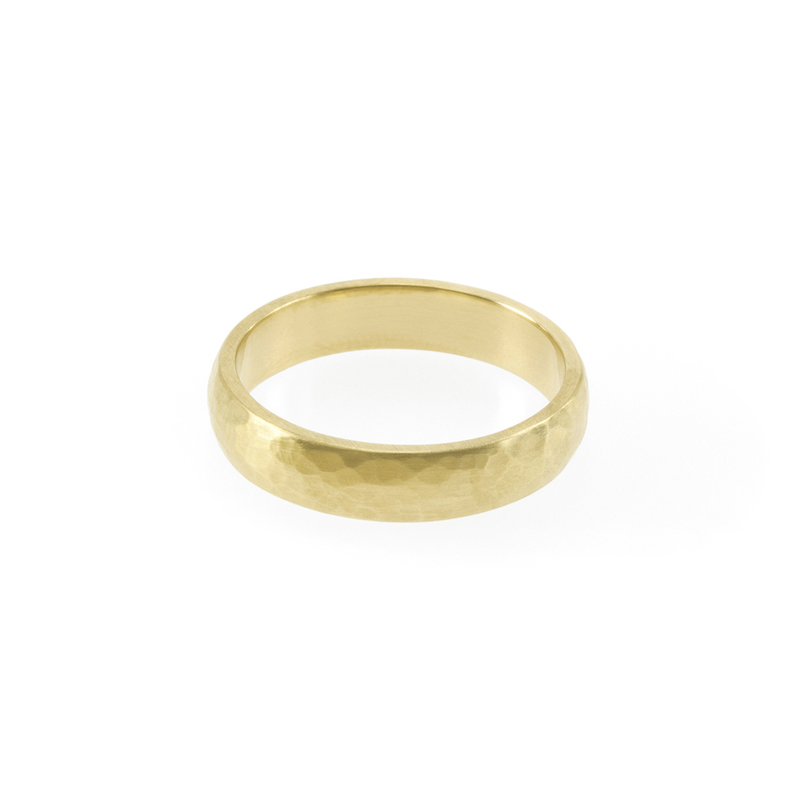 Notify me when 9K Yellow Gold 2mm wide Hammered Bands is available.